A spraydeck is used on a kayak to reduce the amount of water getting in to the cockpit area. The most basic type are made from Nylon with a loose shock cord around the outside and an adjustable waist tube. 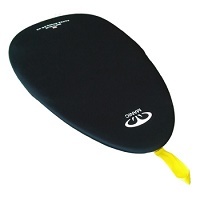 We normally recommend Nylon spraydecks for beginner paddlers as they are easy to get on and off the cockpit, although they can let in more water than the neoprene type and are susceptible to popping off in whitewater and surf. 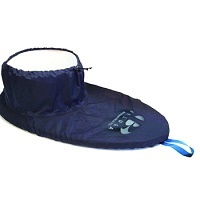 Nylon spraydecks are recommended for use with recreational and touring kayaks. Nylon decks are the easiest to fit and remove making them the best choice for beginners. neoprene that these decks are made from is stretchy, and as they are pulled over the cockpit they create a tight seal which the water can run off quickly and easily meaning water ingress is minimal. The tighter neoprene tubes on this type of deck also stop water coming in through your waist area when rolling or paddling in whitewater and surf. 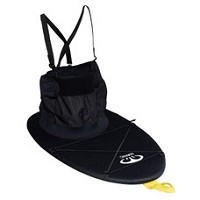 Combination decks feature a neoprene deck area but a nylon or material waist tube and are popular for sea kayaking and touring. 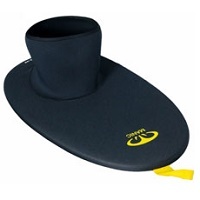 The neoprene deck keeps out just as much water as a full neoprene spraydeck would, however the nylon waist tube is more comfortable for a long day on the water. The downside of this type of deck is that water ingress is more likely through the waist tube if you do capsize or paddler in rougher conditions. Cockpit covers are great for when your kayak is being stored or for reducing drag when on your roof rack. Cockpit covers also keep most of the water out when transporting you kayak in wet weather conditions.